Some people seem naturally so confident don’t they, while others appear to be shrinking violets. Why is it that some of us seem to have no confidence, while others appear arrogant and opinionated? We say we have confidence in God – in his love for us and his Good News for the world. Yet do we really have confidence in God himself – or is it in our own ability or Christian heritage? For those of us who lack confidence, why can’t we seem to trust God more? With the demise of Christendom, we seem to have lost our confidence, or was it a misplaced confidence based on power and influence? ‘In the eye of the storm’ was an attempt to debate how we can have a proper confidence in God so that we don’t retreat into protecting ourselves from the storm around, or alternatively end up in arrogance and fundamentalism. I hope you enjoy and are stimulated by the engagement as much as we were. Article 1: Wave Formation, Waves and Learning to Surf. 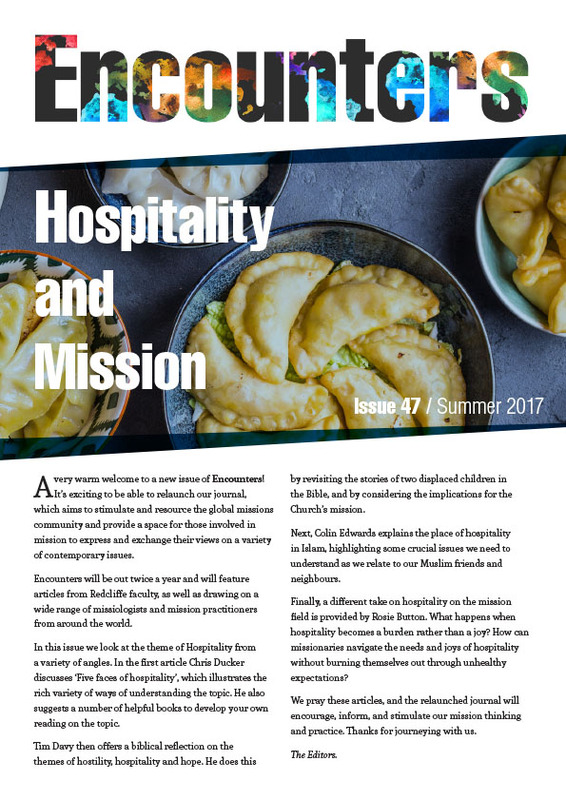 Article 2: Being Intentionally Missional in a Multi-Cultural Setting: A Case Study. Article 3: When Lightning Strikes: Responding to the Challenge of Fundamentalism. Article 4: Shouting Above the Storm: Speaking Out About Injustice. Article 5: Conference Book Highlights. Issue 21: Single Document Version (in full).